Thanks, it's been satisfying to restore the car but I am a bit over it now as it has taken so much of my time and I have other projects waiting. 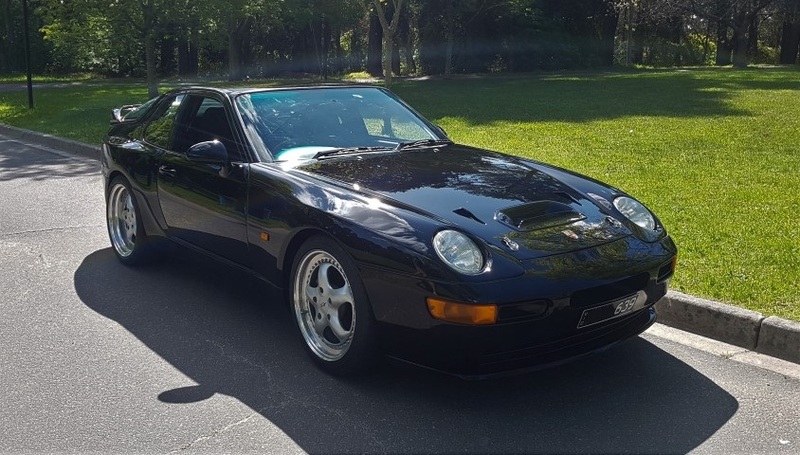 This includes a 968 CS and a very early manual 968 (1991 press car), both of which I purchased as donors for the RS but decided not to use once prices of 968's started to rise. Next car I'm working on is a 67 Lancia Fulvia Sport Zagato with an alloy body. Yes it will be road registered again. I would put on a club permit it if I could but it's not eligible until 2020. Would be great to see more video of the finished car when done. I Often think of the black RSR car that got away. Well the day has FINALLY come, the restoration of #4 is finished (almost!). 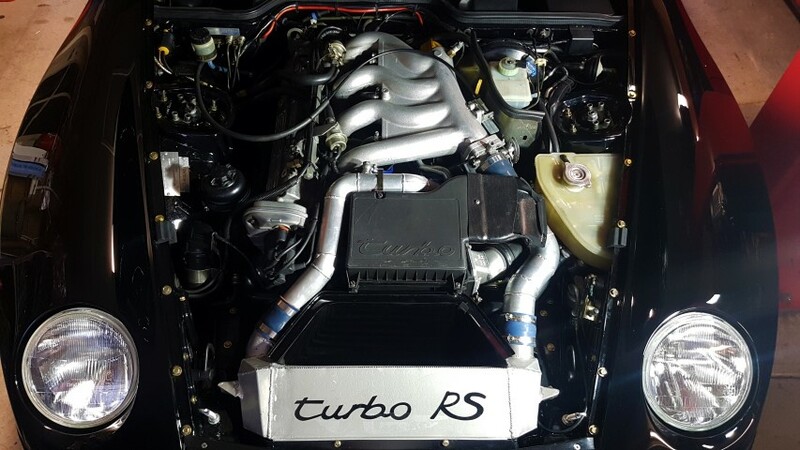 After 2.5 years and a lot of blood, sweat and (financial) tears, 968 Turbo RS #4 is now back on the road. It will be on display at Motorclassica in Melbourne on Sunday 15th October if anyone wants to come and say hello. Look forward to seeing it in the flesh! Fabulous looking 968. Congratulations on the resto. Fantastic Ossie! Great to see it back on the road. Mine's just like it - except for the turbo stuff, the fancy rims, the roll cage, the shark fin antenna, the steering wheel, the manual 'box and the bonnet ....could be mistaken as twins! Drives better than it did before. Suspension is very hard so it's uncomfortable to drive on the road for long periods, but it's meant for the track primarily, the 18" wheels also don't help. But replacing a lot of the rubbers and other perishable parts has made it feel like new. I also improved the sound deadening as it was pretty loud in the cabin. Still trying to sort a minor oil leak around the turbo which I am cursing now that I didn't find when the engine was out any everything was more accessible. Paint still needs another final cut and polish, but it's good enough for now. I well recall sitting in and leering at these cars as they occasionally passed through Rob Raymer's care. He swore never to buy another one some years ago...the last one had some humorous toggle switch labeling! ine's just like it - except for the turbo stuff, the fancy rims, the roll cage, the shark fin antenna, the steering wheel, the manual 'box and the bonnet ....could be mistaken as twins! Thanks, been a lot of work. Yes the shark fin was my only real modification, got sick of catching the stick antenna on the car cover. Yes funny you should mention those rims. 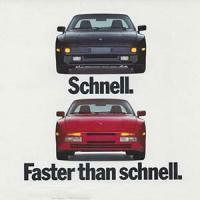 Those are replicas and very similar to the original Speedlines used on the factory 968 RS's. In the accident I had in 2015 one of the black wheels that the car came with was damaged. I was looking around for a set of replicas and then realised I had some on a 930 I own. Total fluke they were the right size and offset! 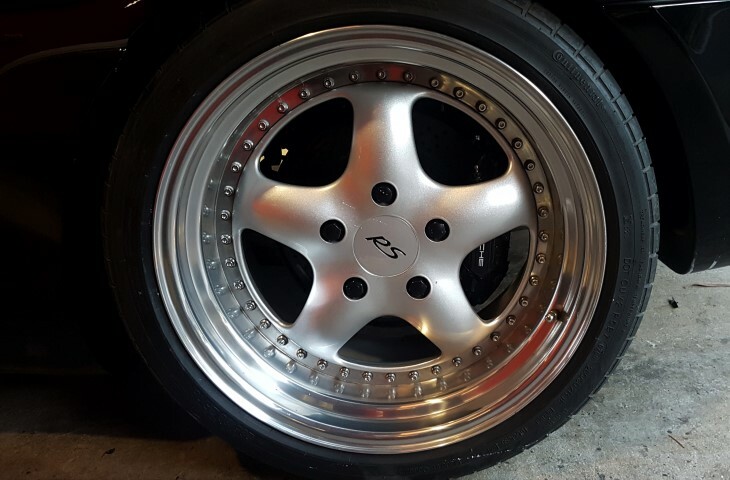 I still also have 3 of the original wheels the car was delivered with in 1995 which are a Technomagesio wheel, but I've yet to find the missing one for the front. What turbo does it run and what sort of power is it putting out? 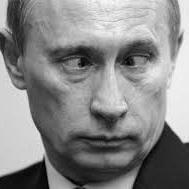 I was wondering the same thing Tingy. How is the torque curve Ossie? Also, what did you do in the way of sound deadening? My S2 has a louder aftermarket exhaust and firmer suspension with a bit of dynamat in the boot area. I could go more though so curious what you did. Stunning! I hope to see it in the flesh one day. Great job with the work you put in ! Had a ride around Sandown in the Raymer one several years ago - reckon it was better than a GT3 ! did you have to add that? I'm already spewing I didn't buy the bloody thing now you tell me it's better than a GT3......? yeah, well, I've been talking up the croc a bit lately, thought I'd rein it in a bit......but you are correct! But you know me, l like old school and boost too! I heard a rumour today suggesting my 968 Turbo RS may have been "reborn" from another 968, so I want to clarify this is not correct. As the previous photos I have posted here show the car was stripped down to a bare shell and all previous accident damaged repaired or replaced with new parts wherever possible, but the majority of the car is still original. 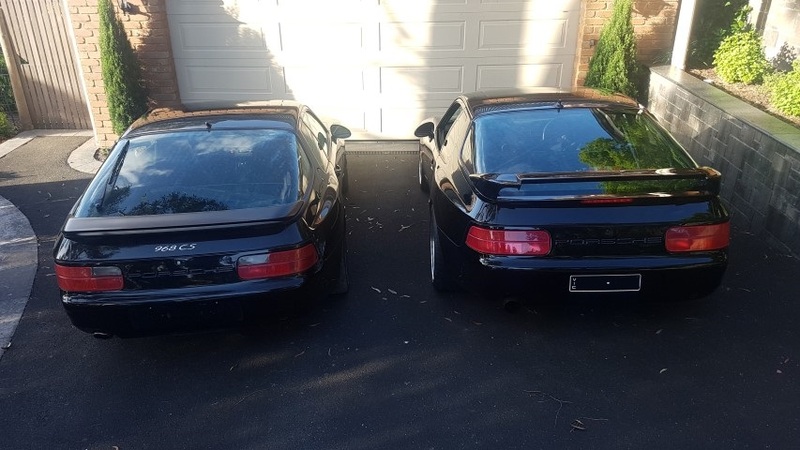 But I can understand why there may be some confusion around this because I do currently own 2 other 968’s, which I did originally buy with the intent of using parts to repair the RS, but fate intervened. Grab a beer and read on as this story is sillier than fiction! Roll back to May 2015 when the 968 RS and myself were involved in the accident that eventually led to its restoration. After the accident I considered parting the car out as there was considerable interest from buyers in Australia and overseas for many of its unique RS parts. But that made me realise it was probably more valuable if restored, and by this point 968 prices had also started to rise, especially for CS models on which this car is based. So knowing I was going to need quite a few parts to restore it I decided to buy another damaged or worn out 968 as a donor. I started watching Carsales and quickly found one advertised in country Victoria that looked unloved and was a low price. I spoke to the owner who explained he'd had it for 10+ years and driven into the ground. It was now sitting in his barn (no joke) alongside an equally trashed 944. He didn't know much about its history but wanted to make sure I understood it didn't have a sunroof as that was obviously something that had put other buyers off. 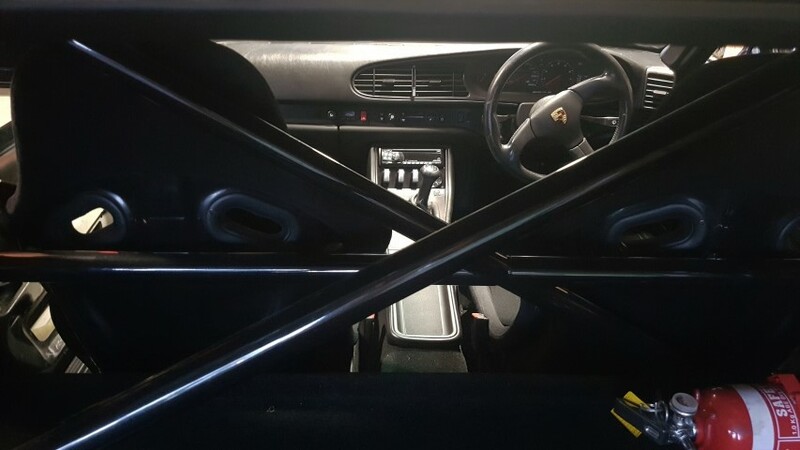 No sunroof I thought.... hmmm so that means it was either a special order 968 with sunroof delete option, or...... a CS in disguise! It wasn’t advertised or badged as a CS so curiosity got the better of me and I checked the VIN and bingo, it was an Aus delivered 1994 968 CS. Needless to say I went to inspect the car the next day (a 3 hour drive to Timboon) and purchased it on the spot. But it really is in sad condition, having been resprayed badly at some point in time, plus engine did not sound good and the interior is pretty trashed. It also had a rats nest in the engine bay, yuck! I managed to get it going and drove it back to Melbourne, it is now in storage awaiting a future restoration. Below is a photo of the RS and CS together today to dispel any reborn rumors. 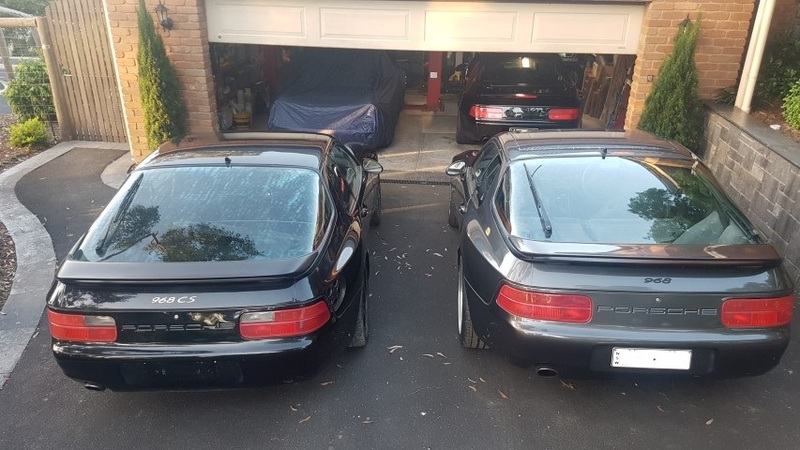 On the right is the restored RS Turbo (#815299), car on the left is the CS (#815252). But wait, there’s more! 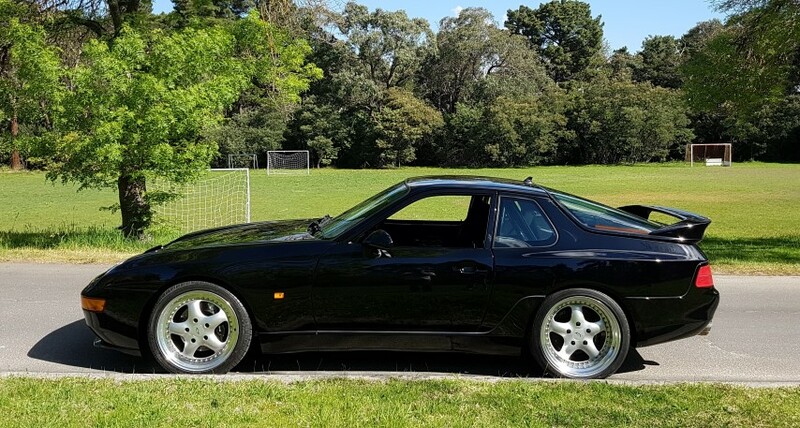 After the CS “disaster” I decided to look for another 968 and found a regular 1992 model in Sydney for a good price. It was a pretty drab grey car that had been imported from the UK and didn't seem all that special, so I didn’t feel guilty about parting it out to fix the RS and CS. So I flew to Sydney to inspect and was pleasantly surprised by how nice it looked in the flesh and how well it drove. It also came with all the tools, books, records and receipts dating back to when it was sold new. The wife and I drove it back and by the time we reached Melbourne I had already decided the car was too good to destroy so turned it into my daily driver instead. So end of story you think….. no not quite! In June this year while on a business trip to the UK and I went to the Porsche Museum in Stuttgart. 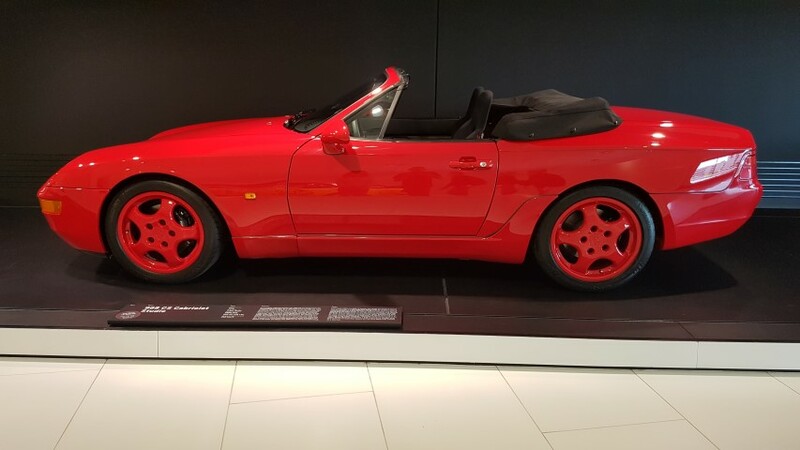 I arrived early as the museum opened and one of the cars I noticed immediately was a 968 CS cabriolet prototype that had just been added to the display that day. There were a couple of museum people there wiping it down who I spoke with and they were very interested in my 968 RS. They had heard about the 4 RS’s built in Australia but knew less than I did about the history, so we exchange email addresses and I followed up with what I knew which they were able to confirm. Always nice when the factory checks your facts! They also checked the history of the other 2 968’s and to my surprise the 1992 car turned out to be a 1991 show car, and was resold “new” in 1992. It was built in July 1991, which is well before production of RHD 968’s commenced and was sent to Japan, before coming back to the factory for (presumably) a clean up, before being sold to its first owner in the UK in 1992 along with a 10 year warranty. Upon closer inspection it is very original and does have traces of what appear to be “trial and error” fitting of some parts and cryptic hand-written scribbles on various internals of the chassis and trim. All very interesting but not sure it will really mean much in terms of value the long run. The second photo below shows the 3 cars together, the 1991 968 is on the right (#800084). 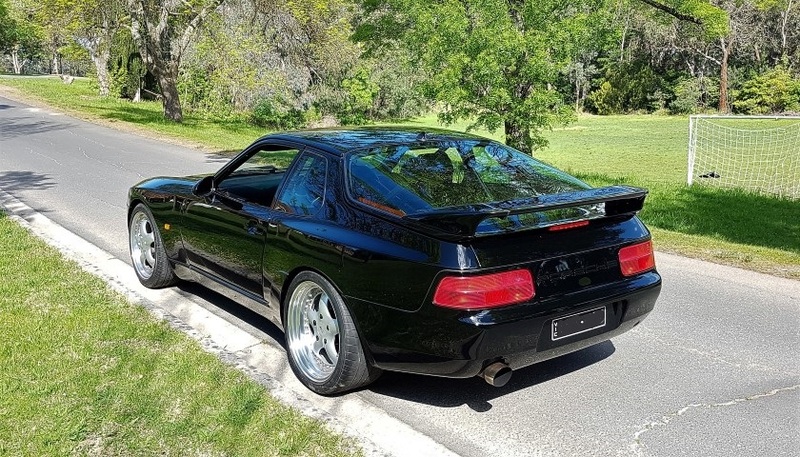 Hope you enjoyed my tale of 968 ownership! Oh and here is a photo of the 968 CS Cab at the Porsche Museum.